Welcome to LilacsNDreams! Images and optimization is something else we need to consider when we are doing our SEO work for our shops online, websites, blogs, and etc. Reducing file sizes, naming images, and getting search engines to index them is another part of SEO that is being found to be quite helpful too. People usually begin their searches for a product online, and your products can have a good chance with many others of being found as long as your images are optimized. 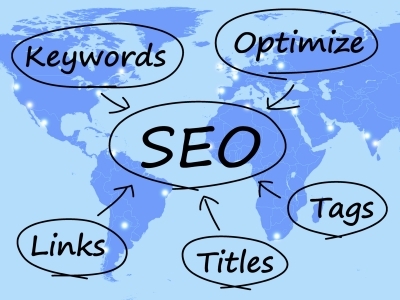 Using keywords in your web page content is quite useful we have learned over time with page ranking. Using keywords with your image names is also quite useful in page ranking too. The file names for your images should be descriptive, in plain english, and also include the right amount of keywords. Search engines not only crawl your text on your web pages, but also will search for keywords within your image files too. When doing a web search you can click on images, and let me tell you it feels good to find one of your images showing along with many other images from others too. It is really easy, and does become a habit to keep the file name given to your pictures by your camera, but it is also a habit you should work on breaking too. An example from your camera might be ProductImage12.jpg, and a better choice to maybe use would be Pink-Cake-Stand-Pedestal.jpg. You know it might not seem like much, but a few extra seconds of load time on your website could also cost you customers. Your pictures should be resized, compressed, and optimized. These optimized images are more suitable for web pages, email attachments, blogs, listings in your shops, and etc. A good rule of thumb for images is that the larger the file size, the longer it takes for the page to load. To help with this issue you can decrease the sizes of your images by compressing them. Most consumers wait about 3 seconds for website to load with a desktop, or laptop. About 5 seconds on mobile devices. Amazon found that if their pages were to slow down by 1 second they would lose about $1.6 billion a year. Ouch! Google does use page load times as a factor in their ranking algorithm. There is always something to learn, and to be shared with everyone isn't there? I want to thank you for sharing your time with LilacsNDreams, and I hope to see you all again soon. Have a most wonderful day everyone!